More rubber meets the road later this year when Ford expands the availability of electronic line-lock on 2018 Mustang. 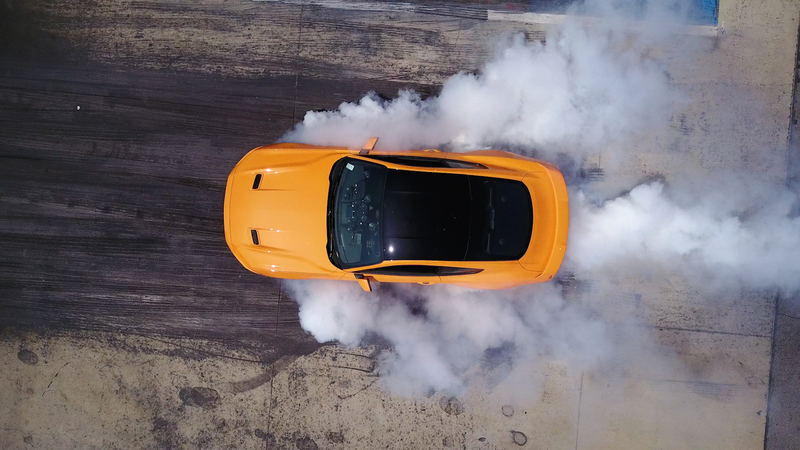 The track-exclusive feature – previously available only on V8-powered Mustang GT – will be standard on all pony cars, including those equipped with 2.3-liter EcoBoost® engines. To introduce the new updates to the world, Vaughn randomly recruited pedestrians in Southern California to join him at Irwindale Speedway, where he put them behind the wheel of a new Mustang to lay rubber.